If you want to learn to surf in a short amount of time, if you already have good surfing skills but want to improve your technique or if you think you aren't making any progresses anymore, this service is for you because it comprises individual guidance 100% focused on your needs, which may even include recording the students while surfing and footage analysis. Private lessons with no age limits. Lessons indicated for those who want to evolve faster. Individual coaching with image recording and footage analysis. Bookings according to your availability. 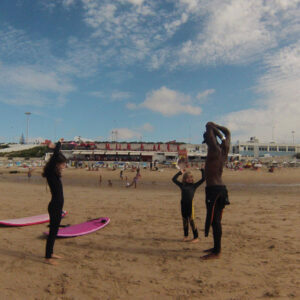 T he lessons with a Personal Trainer are taught by teachers certified by the Portuguese Surf Federation. We start by assessing the students in order to define an individual and specific training plan in accordance to their profile and surfing level. T he main goal is to make the student evolve faster than if he was attending group lessons which don't include this personalized coaching. 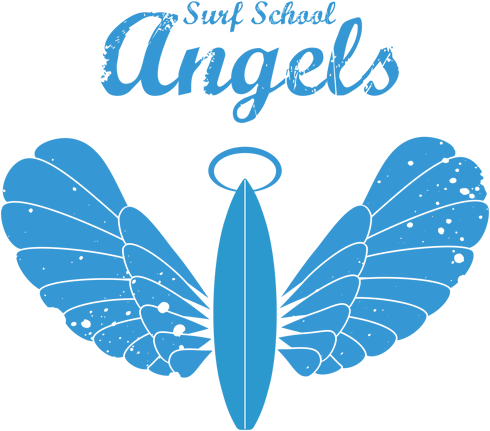 Contrary, in these lessons the teacher is 100% focused on each student's progression independently of his surfing level (beginner, intermediate or advanced). I f the student already has a solid base and wants to start making manoeuvres but needs to refine his technique, we offer a coaching service which comprises counselling, image recording and analysis in order to optimize the time spent in water and promote an harmonious and organic progression. Inscrevi-me na variante de aperfeiçoamento das aulas com Personal Trainer porque sabia que ainda podia melhorar o meu surf. Filmaram-me a surfar, definiram-me um plano de treino individual e com a ajuda do Marcos e do Kiren evoluí bastante e agora estou bem melhor. Vale a pena o investimento. E sempre que posso, lá estou eu a telefonar ao Marcos para ele me dar mais umas dicas. Send us an email and we will quickly reply.